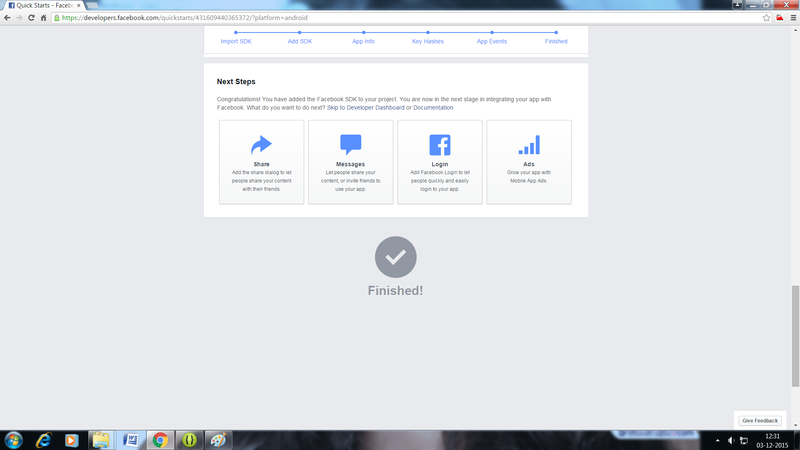 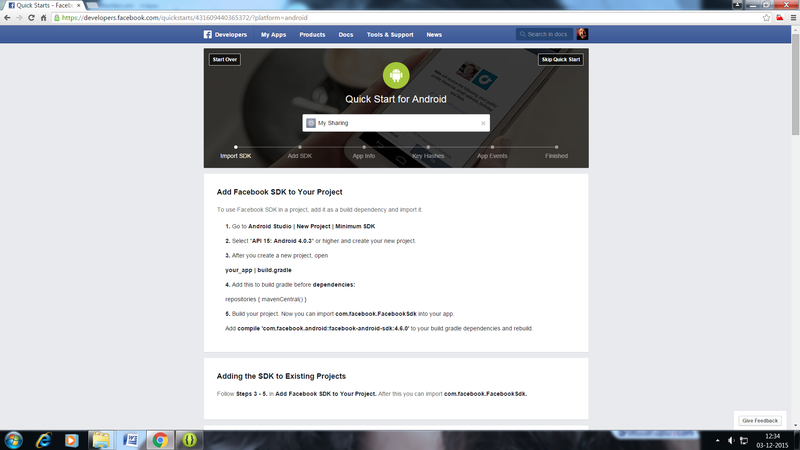 Step1: Go to facebook developer site and login. 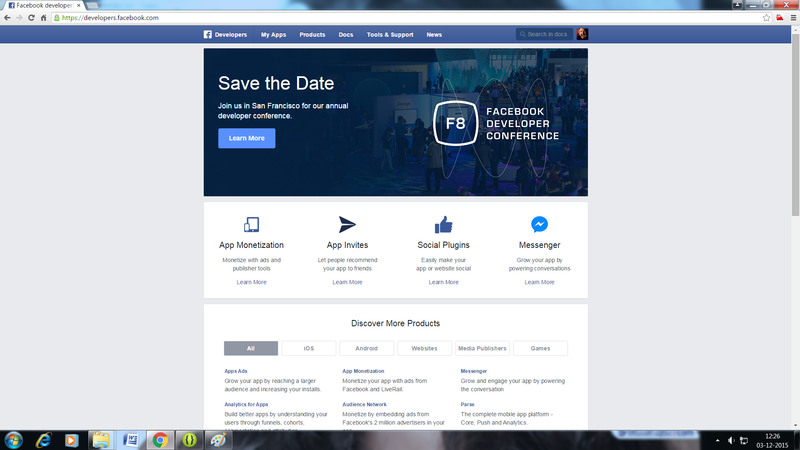 Here is facebook developer link https://developers.facebook.com/apps open this and login to developer account. 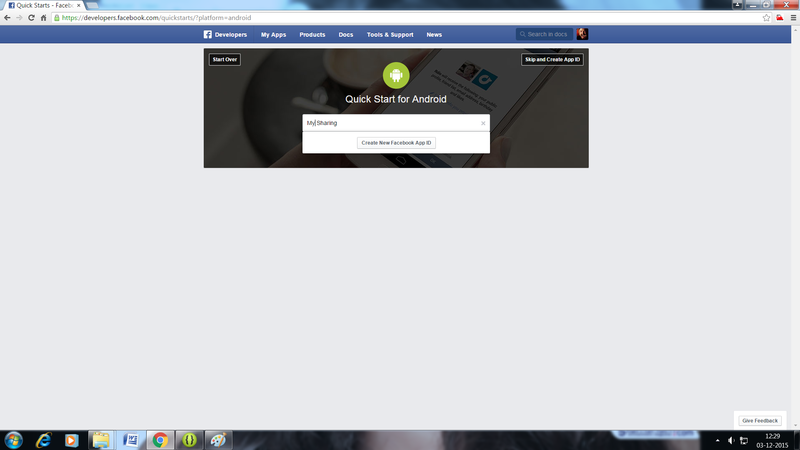 Step2: Click on “My App” tab and select “create new app”. 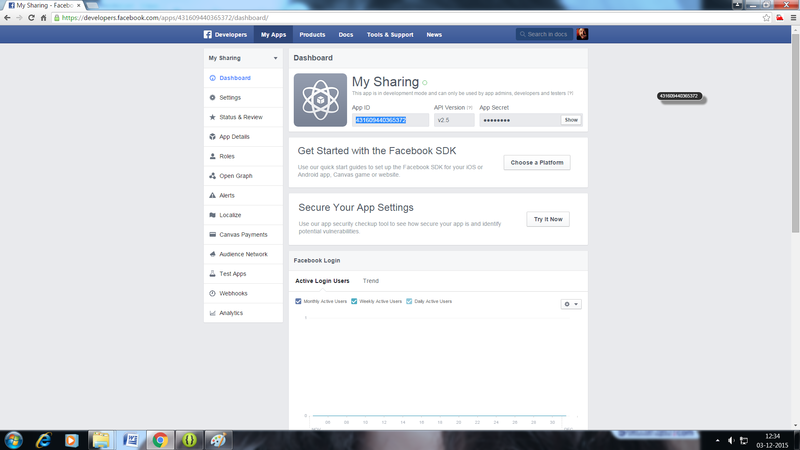 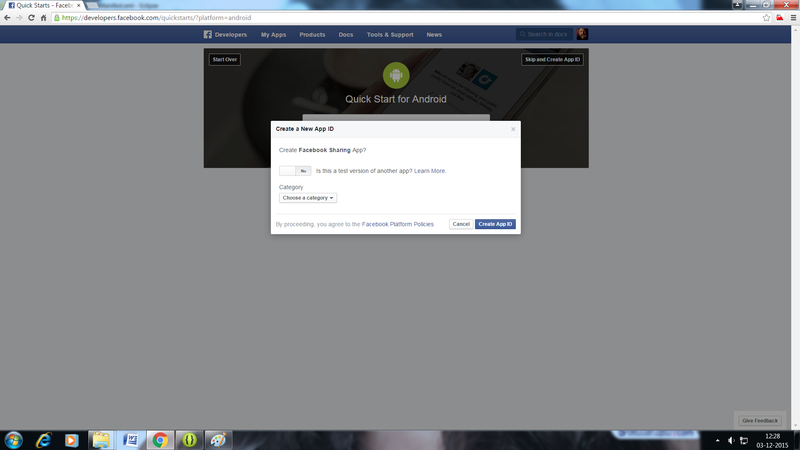 Step4: Enter your App name and click on “Create New Facebook App ID”. 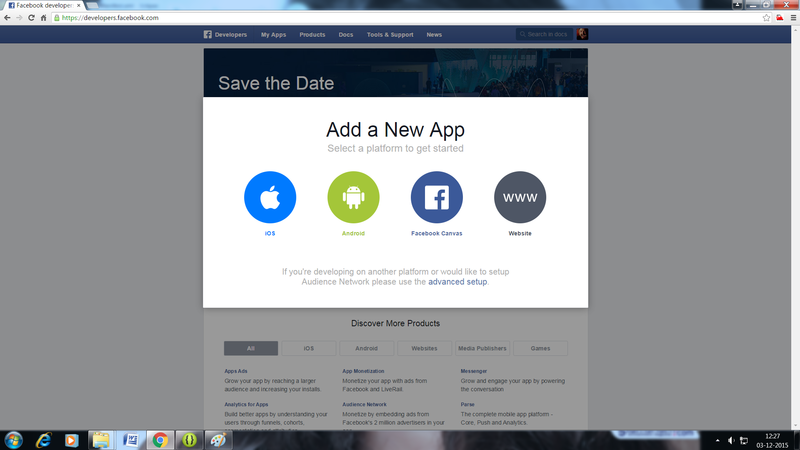 Step5: Choose your category and click on “Create App ID”. 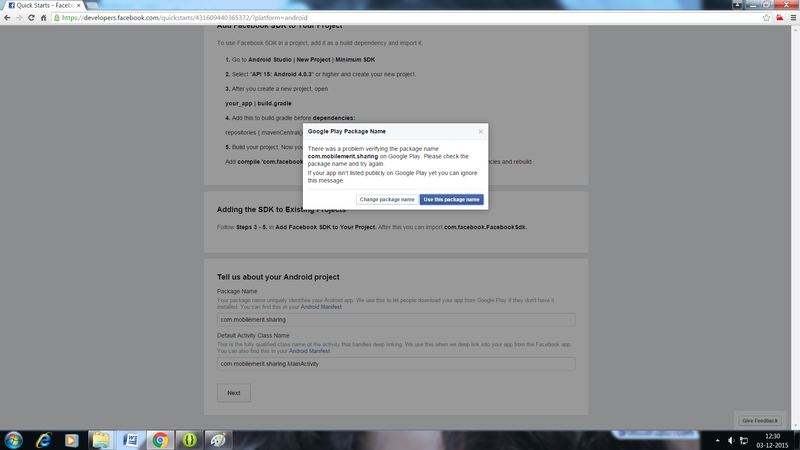 Step6: Enter your package name and your default Activity class name. 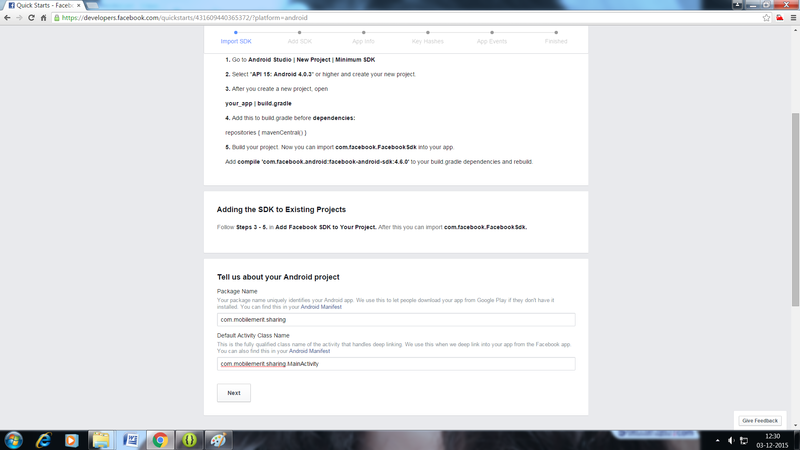 Step6: If your app already published on Google Play Store than it will find otherwise ignore this message and click on “Use this package name”. Step7: Add your development hash key and release hash key.